Amalie Pillow CoverAmalie Pillow Cover, Smoke alt="Amalie Pillow Cover, Smoke"
Print Drawing inspiration from a fantastic handbag we once spotted, this is all about texture and artistry. 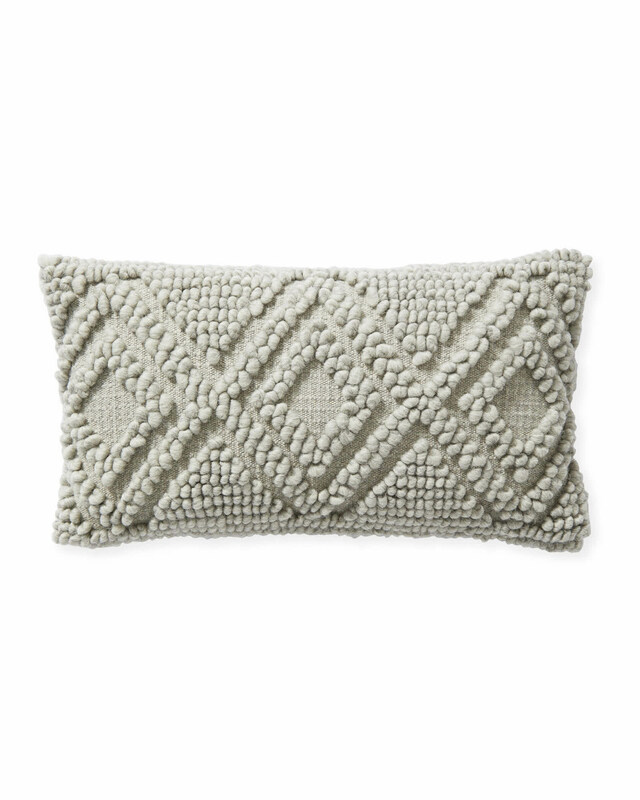 It’s hand-loomed in Peru from irresistibly soft alpaca wool, then expertly tufted by hand to create a raised diamond pattern. 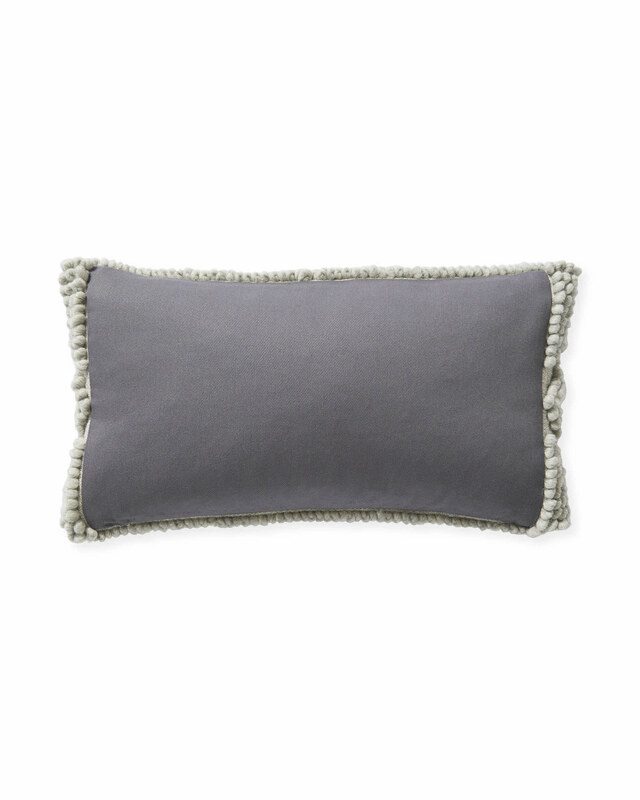 Such a chic neutral – your pillowscape will never be the same again. 55% alpaca and 45% wool; 100% cotton on the back. 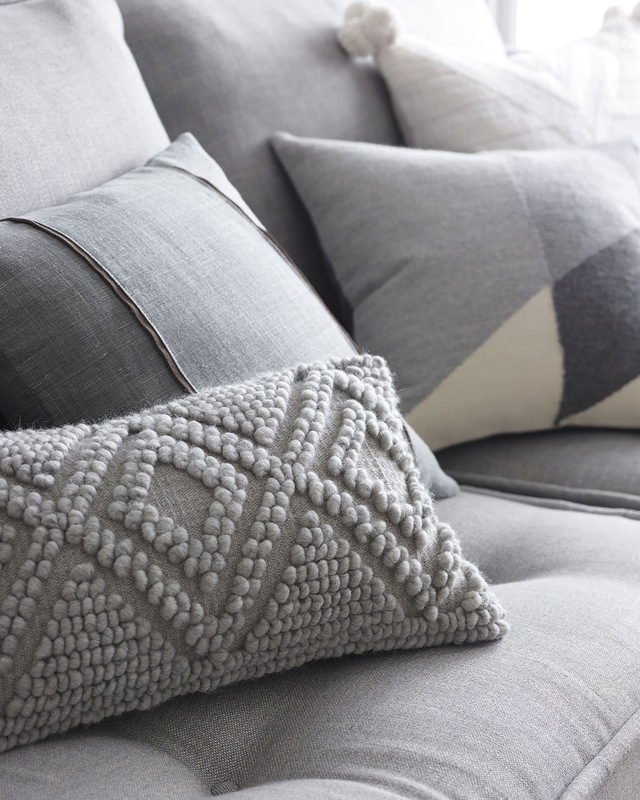 Loomed, knotted, and tufted by hand. The shade of cotton on the reverse matches the shade of the wool front.